Lizzie Desrosiers is the consummate PR professional as well as a USF alumni with a Bachelor of Arts in Entrepreneurship. 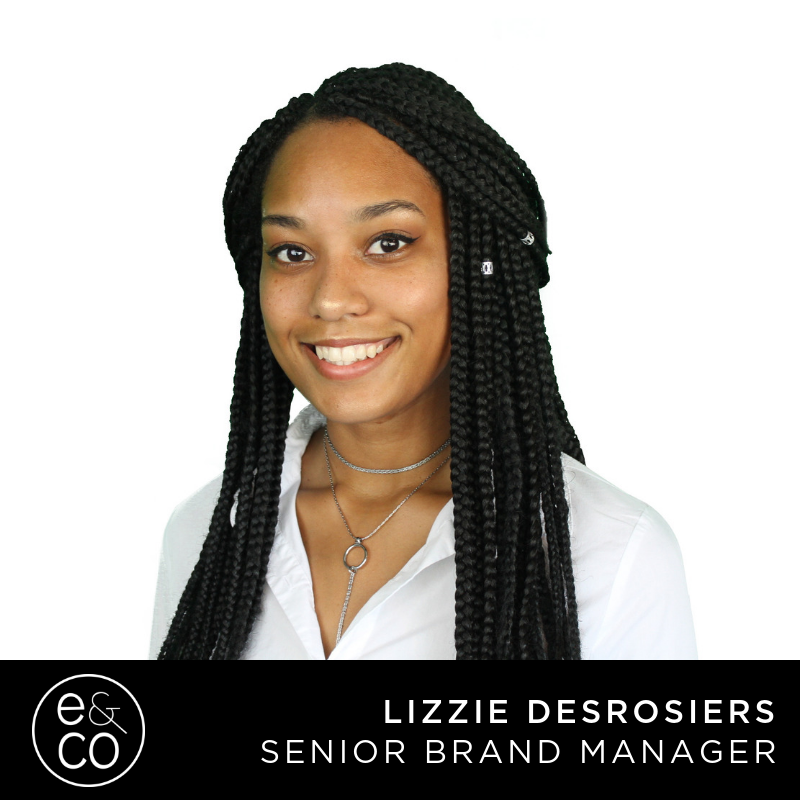 Lizzie is integral in the success of Evolve & Co’s campaign and content development, as well as heading up our Public Relations department where her altruism shines. In her personal life, she’s a fashionista and goal digger. Get it, girl! How would you describe your role at Evolve & Co? My role at Evolve & Co is a multifaceted role as I manage different components that contribute to our clients’ successes – like copywriting content for social media, writing and distributing press, and building relationships between the client and the community. I try to find creative inspiration all around me. I find it best when I work outside of the office and place myself in different environments. This way, I’m constantly seeing new things! A challenging part of my position is being able to keep up with the fast influx of new tasks and campaigns. However, getting things done are much easier to do with such an amazing team. What is a most memorable project/ campaign you’ve worked on? The most memorable campaign I’ve worked on would be the DTSP St. Paddy’s Day Block Party. It was the biggest project I’d worked on; our team managed all the marketing and outreach to get bring the event to fruition. Evolve & Co designed all the banners and signage, we helped schedule entertainment, and assisted in the day-of facilitation. My job is incredibly rewarding! I love being able to see the impact that our agency has had on client campaigns and relations.